A new Enscribe DDL “Flattener” and SQL table create utility, SBDDLUTL. The utility converts Enscribe data definition language (DDL) into a separate/new “flattened” file schema format so that it can be translated into a corresponding SQL CREATE TABLE script. The SQL CREATE TABLE script can be created for any of the HPE Shadowbase-supported SQL targets, including SQL/MP, SQL/MX, Oracle, SQL Server, Sybase, MySQL, DB2, SAP Hana, and others. 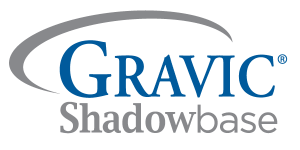 See our Shadowbase Support Tips section for more information. Support for partition based loading of SQL/MP and SQL/MX tables by partition name with the Shadowbase Online Loader programs, SOLV and SOLVMX. In addition, a new mechanism, SBMAP, is now in Controlled Availability (CA). It provides data transformation and mapping rules to the HPE Shadowbase for HPE NonStop replication engine using a scripting language in a lightweight, readable format using SQL/MP functions for transformation without the need to develop custom user exits. Development is in progress for Version 6.6 of both HPE Shadowbase for HPE NonStop, and HPE Shadowbase for Other Servers. In this release, HPE Shadowbase ZDL for NonStop will leverage new functionality to remove the need for the Shadowbase metronome process, and allow for simplified configuration, reduced overhead, and improved (reduced) application latency. It also adds in bi-directional replication support for ZDL environments. Additionally, expanded support for DDL operations will be available via a new product, HPE Shadowbase Command Stream Replication (CSR). It will allow for replication of FUP and SQLCI based Enscribe and SQL/MP DDL operations from a NonStop source to a NonStop target replication environment, for operations such as CREATE TABLE, ALTER VIEW, and DROP INDEX. HPE Shadowbase for Other Servers, Version 6.6 focuses on support for the latest features to all of our supported platforms, as well as support for expanded DB2 Source connection configuration options, and support for SAP HANA as a target database. As always, please keep us abreast of your future technology direction, needs, and wants in the data replication, data integration, and data synchronization space so we can plan to meet them accordingly. Please reference our Newsletter Disclaimer.